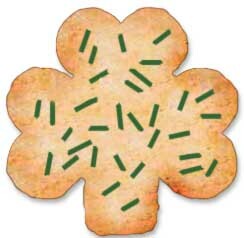 One cannot survive green beer alone. 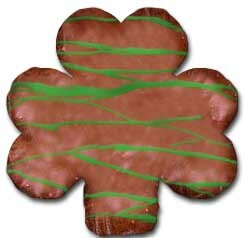 Our clover cookies come in different sizes and covered in chocolate. 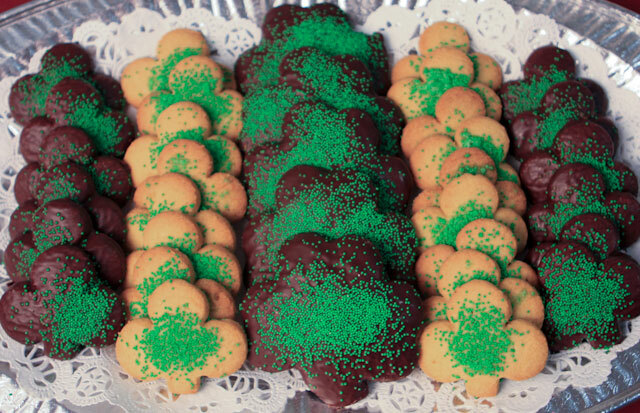 The perfect accompaniment for your St. Patty’s day celebration. Available from February 1st-March 15th.